The Heroes of Newerth´s team today announced that HoN Tour, its biggest eSports event of the year, has reached the season´s midpoint. So far the ongoing tournament has wrapped up four cycles, awarding winning competitors with more than $120,000. Prize pools, which started off at a base of $8,750, have tripled for each cycle with the help of eSports plinko and URSA CORPs, Heroes of Newerth´s community crowdfunding initiatives that kicked off for the first time this year. 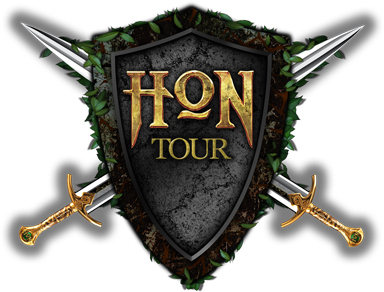 HoN Tour´s purchasable URSA CORPs content, which features in-game goodies ranging from character avatars, to permanent account progression bonuses, and more, have been, and will continue to be added until the season comes to a close early next year; 25% of the revenue generated from eSports Plinko purchases will funnel directly into HoN Tour´s prize pool. SMITE's goddess of cats prepares to become a true cat burglar with the launch of her epic skin. Guilty Gear XRD is not a Street Fighter style game; it’s an anime fighter. Those are so very different.